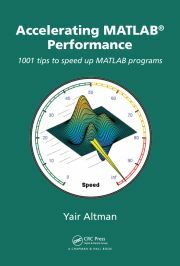 Why are there so many undocumented aspects in Matlab? This is a great question, recently asked by a reader of this blog, so I wanted to expand on it in next week’s article. Before specifying the different reasons, let’s map the nature of undocumented aspects that we find in Matlab. The term undocumented/unsupported (as opposed to mis-documentated or deprecated) actually refers to quite a large number of different types. Matlab functions which appears nowhere in the documentation, are usually built-in functions (do not have an m-file) and can only be inferred from online CSSM posts or usage within one of the Matlab m-functions installed with Matlab (the latter being the usual case). None of these functions is officially supported by MathWorks. MEX is an important source for such functions. % and the API and functionality may change in a future release. % UITREE creates a uitree component with hierarchical data in a figure window. These functions are not documented in the full documentation (via Matlab’s doc function, or online). The odd thing is that some of these functions may appear in the category help output (for example, help(‘uitools’)), and in some cases may even have a fully-visible help section (e.g., help(‘setptr’)), but do not have any online help documentation (docsearch(‘setptr’) fails, and doc(‘setptr’) simply displays the readable help text). Many fully-supported Matlab functions use helper functions that have a specific use in the main (documented) function(s). Often, these helper functions are tightly-coupled to their documented parents and are useless as stand-alone functions. But quite a few of them have quite useful stand-alone use, as I’ve already shown in some past articles. Features of otherwise-documented Matlab functions, which appear nowhere in the official documentation. You guessed it – these are also not supported by MathWorks… Like undocumented functions, you can only infer such features by the occasional CSSM post or a reference somewhere in Matlab’s m-code. Features of otherwise-documented Matlab functions, which are documented in a separate section beneath the main help section, and nowhere else (not in the full doc not the online documentation). If you did not know in advance that these features existed, you could only learn of them by manually looking at Matlab’s m-files (which is what I do in most cases…). Many Matlab objects have internal properties, which can be retrieved (via Matlab’s get function) and/or set (via the set function) programmatically. All these properties are fully documented. Many objects also possess hidden properties, some of which are very interesting and useful, but which are undocumented and (oh yes) unsupported. Like undocumented features, they can only be inferred from CSSM or existing code. In a recent article I described my getundoc utility, which lists these undocumented properties of specified objects. Matlab uses a vast array of specialized Java classes to handle everything from algorithms to GUI. These classes are (of course) undocumented/unsupported. They can often be accessed directly from the Matlab Command Window or user m-files. GUI classes can be inferred by inspecting the figure frame’s Java components, and non-GUI classes can often be inferred from references in Matlab’s m-files. Matlab’s GUI interface, as well as the Java-to-Matlab interface (JMI) is fully undocumented and unsupported. In addition to JMI, there are other mechanisms to run Matlab code from within Java (namely JMI, COM and DDE) – these are all unsupported and by-and-large undocumented. UDD (Unified Data Definition?) is used extensively in Matlab as the internal object-oriented mechanism for describing object properties and functionalities. We can use UDD for a wide variety of uses. UDD was described in a series of articles here in early 2011. Next week I will list the reasons that cause MathWorks to decide whether a particular feature or property should be documented or not.